These are common responses I hear when I ask owners if they have a crate for their puppy. Do you think it’s cruel to put a baby in a cot or playpen? Would you leave your toddler loose in the house at night without supervision? Do your children look like extras from St.Trinian’s, with their jumpers down to their knees so you can save money? The only way a crate would be cruel would be if your dog were left locked in it all day. The same would hold true for leaving your toddler in a cot or playpen all day! The crate is an excellent help for keeping a puppy safe in his new home, and is your best friend when it comes to housetraining - and to getting a good night’s sleep. So now we’ve got those misunderstandings cleared up, you’re ready to set off on your Errorless Housetraining - with the crate doing a lot of the work for you! The crate should be safe and secure, and strong enough not to distort in shape. Your first crate doesn’t need to be big and strong enough to restrain an elephant! Don’t put a puppy in a soft fabric crate - it’s too inviting for him to chew and shred it. Do use a custom car-crate for safety in the car. If you have a tunnelling breed, like a whippet or a terrier, provide lots of blankets and bedding he can dig into, like a hamster. If you have a “hot” dog, like a border collie or gundog, just a flat comfy bed will do well. Seventeen hours is what adult dogs need. So a puppy will obviously need more. It’s a lot more sleep than many new owners allow their puppy, and they’re amazed to find that a lot of minor irritations and things they considered problem behaviours can be resolved by simply ensuring sufficient downtime. All that sleep needs to take place in your pup’s crate. So when it’s time for a rest (after maybe one hour of activity) you take your puppy to bed, shut the crate door, and leave him to settle. Half-cover the crate with a blanket so it’s a cosy den. You can feed all your dog’s meals in his crate so he’s always happy to go there, and when you leave him, give him a food-toy or something he can safely chew. This is why you want to get a crate that is the right size for him now. If you must get a giant crate for your little puppy, block off the greater part of it with the custom divider or cardboard boxes. It doesn’t matter if your puppy shreds the boxes - we want his sleeping area just big enough for him to lie down, stand up, and turn round. Just as our beds just fit us for sleeping. Always leave chew toys so he has something to amuse him as he nods off. Classical music playing on the radio is calming to many dogs. When you bring your new puppy or your new rescue dog home, you needn’t expect perfect behaviour from the get-go. There is a honeymoon period to work through - you want to build a terrific relationship with your new family member, and you don’t want that relationship marred by barking commands at your dog, or telling him off for some transgression of which he has no idea! 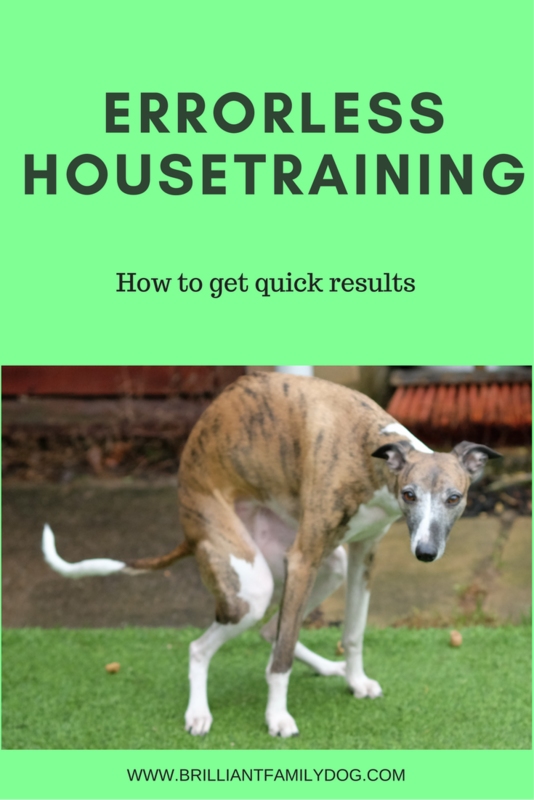 As Housetraining, along with Socialisation and Familiarisation, are the key things to focus on at this early stage, you want to make it as painless as possible for both of you. So that means getting it right from the start. Your puppy is going to need to wee and poo. A lot. Your job is simply to make sure it all happens where you want it to - i.e. outside. You need to be taking him out, on a lead, much more often than you think! Every half hour is a good rule of thumb, and more often if your little puppy is active and playing. You need to keep him on lead until he’s done his business, then you can let him off to explore the garden and play with you. If you take him out without a lead, he’s more likely to bounce about chasing butterflies and sniffing leaves, so that when you get bored and bring him back in, he still has a full bladder or bowels. Keeping him on lead focusses his attention on what he needs to do. Your puppy will gradually earn his freedom in the house as he shows that he can perform immediately when you take him outside. People are sometimes baffled that their puppy is still not housetrained - they tell me they leave the door open for him all the time. This is why he’s not done yet! He will continue to pee wherever he happens to be. Sometimes that’s outside and you’re happy, and sometimes it’s inside, and you’re not. How baffling for him! You need to show him that he goes outside for this purpose, and he won’t learn if he can wander in and out, chasing those butterflies, whenever he wants. Another wrong turning people may take - especially if they’ve been taking their advice from uninformed friends or the local pet shop - is to use paper pads for their puppy to eliminate on. How is this puppy going to learn that this should take place outside? I have known people who live in high-rise flats - where it would be impossible to race down the stairs with a puppy every few minutes! - successfully use an indoor toiletting arrangement. But this needs to be a particular, clearly-bordered area (like a giant tea-tray) in a specific place - perhaps the bathroom, or on a balcony. This puppy will also need to be taught to use the great outdoors too when on walks. I expect my pups to be clean and dry by night at 7-9 weeks, and by day at 8-12 weeks. A puppy who is still not housetrained at 17 weeks is one who has developed habits which you will now have to change. How much easier to start off doing it right and not letting these poor habits develop! Get my Cheat Sheet for Errorless Housetraining and focus entirely on this for a couple of weeks. You’ll be surprised how quickly it will work for you! 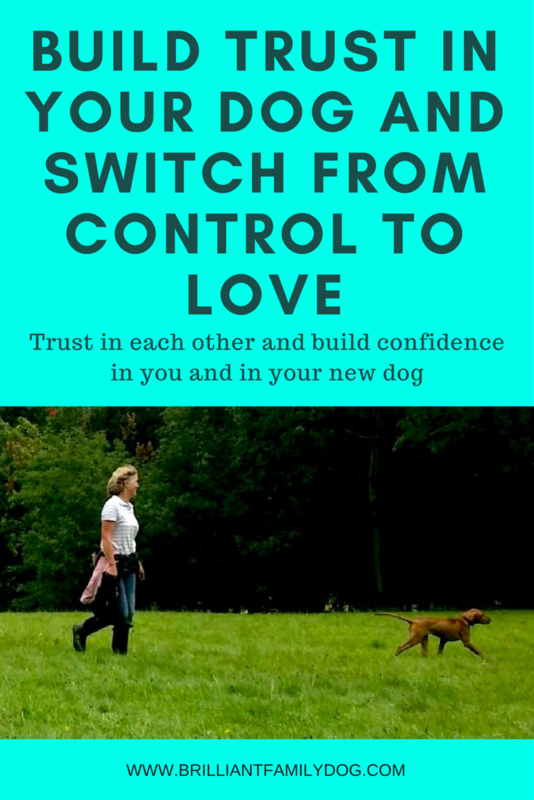 For help with lots of the other issues facing a new dog-owner, get our free e-course which takes you step-by-step through the everyday problems you may have with your puppy - and gives you force-free solutions which are effective, and fun!